Shop from a collection that includes backless stools as well as those with back support. From wood to metal, upholstered to solid wood, you won’t have any trouble finding the perfect bar stool or counter stool to suit your decor and sensibilities. Here’s the fun part – with Bassett’s custom design program, you’ve got a myriad of options, colors, styles, leathers and fabrics at your fingertips. One of our professional design consultants can step you through the process of creating your new counter and bar stools. Add your own individual aesthetic to your new counter stools or match existing decor. The world is your oyster. 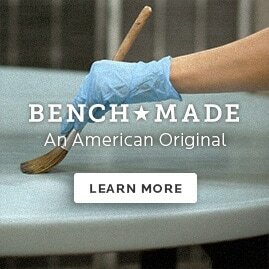 And if oyster is the color you want for your new bar stool, we can do that, too! With so many different materials, fabrics and patterns, you can create almost any look. In fact, if you’re feeling really creative, you can design your own personal counter stools from frame to final stitch. One of our expert design consultants can guide you step by step through the design process. Use our store locator to find your nearest Bassett store and browse our showroom floor. Get ideas for your next project and then make an appointment with our design team. Together, we’ll create the perfect bar and counter stools for your kitchen.